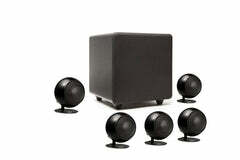 The subONE is an orchestral star by day and delivers room shaking explosions for movie nights - from a 12" cube. bass is the emotional foundation of your listening experience. subONE is an overachiever, it delivers the slam you want and the finesse you need. Powerful 200 watt class D amp that peaks to 400 watts ! subONE has the depth, slam and detail to handle the most challenging sources. 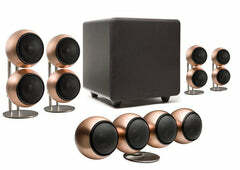 We tuned it back in our high-end stereo days to be an outstanding musical sub and then refined it for the extra lows on Blu-Ray. Making big bass is easy. Making tight, accurate bass is not, especially at this price point, in a 12" cube. Selling web direct allows us to use high excursion custom drivers and 400 watt (peak) Class D amps to get a lot of bass from a very small box.